ete technologys | Find A Baas! Our Vision Is, Provide Best and Clever professionalism Solution Services to Our customer’s. 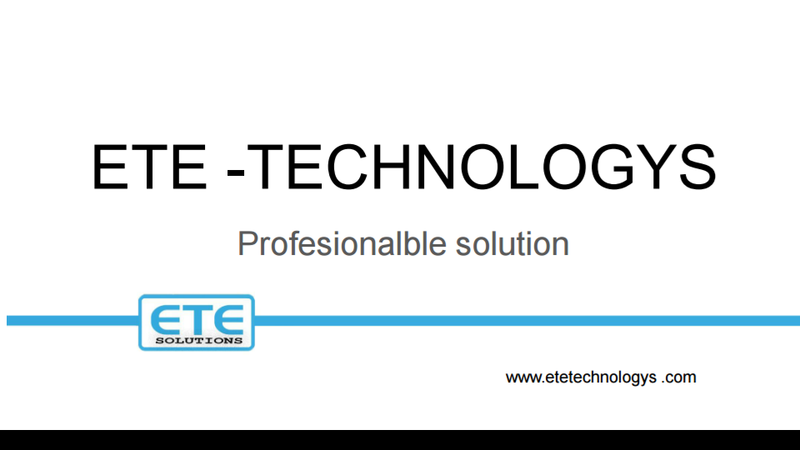 We at ETE technology’s are Promote Our Association Name of – ete technology’s. At Innovative Concepts electrical , telecommunication and electronics we engineer, install and maintain technology systems and equipment, servicing. Our people and the services we provide define our firm. We take pride in delivering a first class client experience and work diligently to keep our staff trained and focused on always exceeding our client’s expectations. Our role as technology advocate begins with initial client discovery meetings and always take us through the long term service and care of completed installations.